World War II had tremendous impact upon all Americans, not simply those who fought. The economy revived from over a decade of depression, but Americans continued to sacrifice towards victory. The government grew in both size and the scope of its activities. Finally, World War II was a watershed moment in the lives of many people, including sizable groups that had traditionally suffered serious discrimination. Lesson Objectives: Students should be able to describe the multiple ways that World War II impacted both individuals and groups of Americans. A computer with speakers and/or copies of FDR’s “Arsenal of Democracy” speech. Access to a class set of computers, either laptops or in a computer lab. 1. Play President Roosevelt’s “Arsenal of Democracy” speech for the class, and have them follow along with the text, if you wish. Discuss what the phrase means (and add it to your unit vocabulary list). Have students make lists of the types of supplies and materiel that were needed to fight the war. What did people mean when they used the phrase “the war effort”? 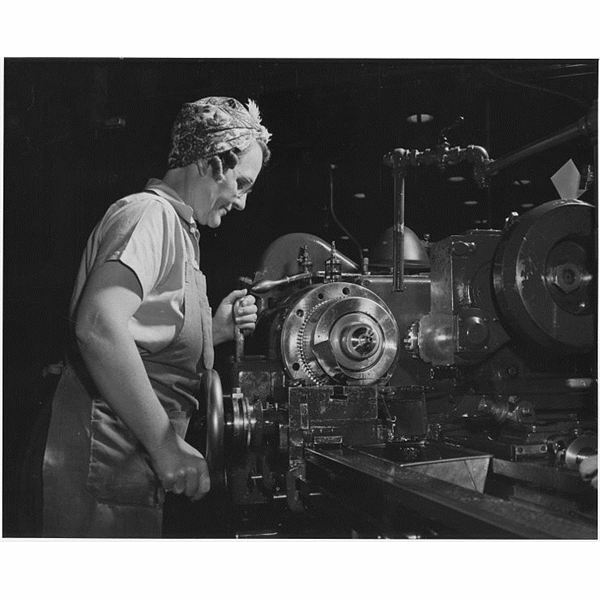 Discuss both the conditions that people working in war industries experienced and how women and African-Americans gained access to factory jobs. Talk about how these new jobs changed peoples’ lives, both by giving them income that they had never had, and by (in the case of many African-Americans) moving them to parts of the country away from the deep South. Add “Rosie the Riveter” to your vocabulary lists. 3. Have students read “Mexican-Americans and World War II” (a PDF can be downloaded here: https://hsp.org/sites/default/files/legacy_files/migrated/mexicanamericansandworldwarii.pdf). Point out the spread of Mexican-Americans to regions and states (i.e. Pennsylvania) where they had never existed in large numbers. Add “bracero” to your vocabulary list. Finish class by discussing the partnering of the federal government with multiple industries (like entertainment) to help win the war.